The Fall session at Rainbow Songs is almost over. Hope you’ve enjoyed singing with us, learning about new instruments, new songs and enjoying special theme weeks. Want to continue the music fun? Enroll in our winter session for more music fun for a great family activity with your baby and toddler. Looking for a Toronto winter activity in your neighbourhood after music class? Rainbow Songs toddler and infant music classes take place in 20 locations in TO. Our city is filled with amazing neighbourhoods with lots of great activities for you and your little one. This week we’ll suggest some great activities to do near our North Toronto locations at Yonge & Englinton and Yonge & Lawrence. North Toronto is another great neighbourhood in Toronto. When you and your infant or toddler sing with Rainbow Songs at our Yonge and Eglinton Castlefield and Yonge or Yonge and Briar Hill locations there are many fun activities you can enjoy nearby! Below is a list of some of the best toddler and baby activities in this great part of Toronto. The Appletree Markets located along Yonge Street are a short distance away from Rainbow Songs Yonge and Briar Hill. This Farmer’s market has been a part of the community since 2008. At this market, you and your family can support local farmers and Artisans. Your toddler can learn all about different types of produce and even take home some healthy treats! Check out this lovely market when you sing with Rainbow Songs Yonge and Briar Hill this Spring and Summer. 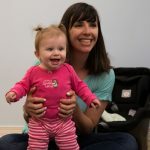 For year-round fun in the North Toronto neighbourhood, you and your toddler or infant can check out the Northern District Toronto Public Library branch. A day of singing, followed by reading would be fun and educational for your toddler! If you and your toddler or infant discover a new favourite book at the library, you can also head to Indigo to buy it so your family can treasure it for years. Besides singing with your toddler or infant at Rainbow Songs, there’s nothing better in the colder months than curling up with a good book. Another great library in Toronto is the Locke Library. After singing songs in your music class head over to the Locke library. They have a great kids’ section with fantastic books and a lovely spot to sit and read with your little one. Also close by to the Lawrence and Yonge Rainbow Songs class is Lytton Park. This park offers so much potential for you and your infant or toddler to get active! After singing with Rainbow Songs you can hit the Lytton Park playground or even play a round of lawn bowling! Still searching for that last minute gift for the holidays? Head over to Mastermind Toys, a fantastic store that includes all the toys, games and books for every kiddo on your list! Whether you want educational, creative, or just FUN gifts for kids Mastermind Toys has you covered. They even offer gift wrapping! Your infant or toddler will marvel at all the treasures at Mastermind Toys. When you and your child sing with Rainbow Songs Yonge and Lawrence, the opportunities for neighbourhood fun are plentiful!